I recently had the pleasure of attending an educational workshop at Imperial College, London, where participants in this year’s Shell Bright Ideas Challenge gathered to learn about 3D printing technologies. The Bright Ideas Challenge is an engineering competition for school students aged from 11-14, who are tasked with using their creativity, teamwork and stem skills to develop future power solutions. Using solidThinking Inspire, I demonstrated how simulation technology can be used by the students to explore how modern products are designed, tested and optimised in a virtual world. Within the session, I introduced Thingiverse – an online website where digital design files can be shared. Once students became familiar with Thingiverse, they chose their preferred designs and 3D printed them to get a feel of how to bring digital designs to life! I really enjoyed my time teaching the students as they were enthusiastic and had very bright personalities! In addition to this, there were also a range of different great questions that had been asked. I think this educational workshop was very useful because the students left with insight into how products from cars and planes to tennis rackets and mobile phones are engineered. 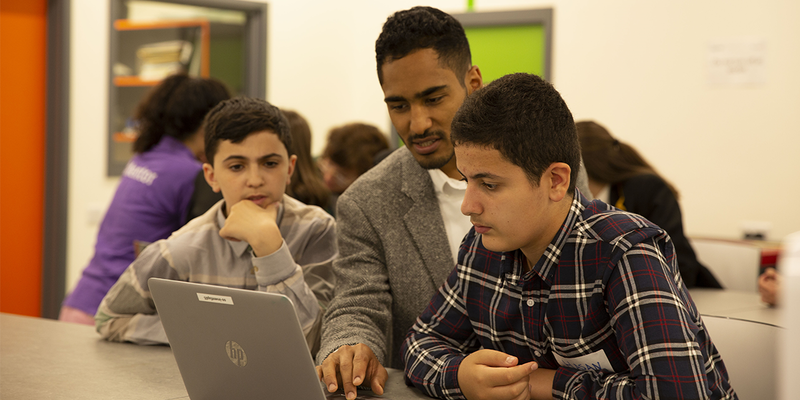 The workshop also provided an opportunity for the students to get their entrees into the Bright Ideas Challenge, 3D printed by HP and displayed at the Shell Make the Future Live event in London next week. Now it’s time to sketch out the designs! At the workshop, each team brought designs of their ideas. After reviewing the designs, I was very intrigued! Each concept was completely unique and could maybe even impact the world of engineering one day. After the sketches are complete, what happens? That’s a good question. After this stage, my next step is to tweak the sketches and translate them into the solidThinking Inspire simulation environment so that they can be ready for printing. The sketches will be sent to HP and they will be imported directly into the 3D printing facility to be brought to life! Will there be a winner for the best 3D printed design? Sure! Once all idea’s are printed, they will be displayed at the Shell Eco-marathon event in London, UK. From this point, I alongside with other volunteers will be picking out the most unique idea! Ultimately, in my eyes all of the student participants were winners. Curious to know who will win? Look out for part 2 of this blog which will be released in July 2018!